Manni Devi is a resident of Baridih village, Ranchi. After her husband died, she started living separately. She earns her livelihood by working as a maid and sometimes works on field for extra income. She had no proper supply of cooking gas in her house. Therefore, she used to collect leaves and sticks from forest, which was a huge waste of time and energy. Soochna Seva team organized a camp for free gas connection in Baridih village, under Pradhan Mantri Ujjwala Yojna. The team helped her in filling up form and completed all the paper formalities she was not aware of. Manni Devi is now using cooking gas, not only to save time but also to improve her living conditions. She is highly obliged and recommends her fellow co-workers to visit Soochna Seva Kendra to get access to their rights. Similar is the case of Rojani Khatun, who resides in Kundli village with her family of eight. 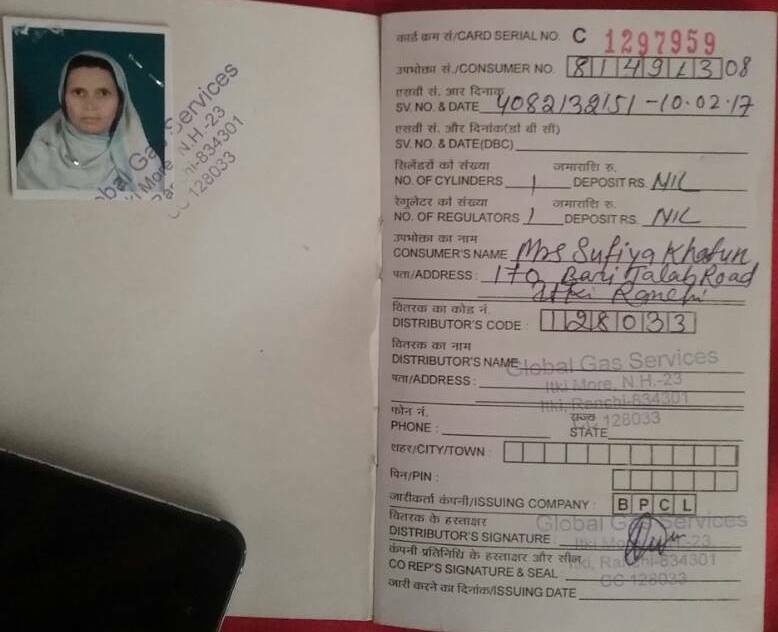 Khatun’s family fall under BPL category and cannot afford to purchase cooking gas set. But, they were not aware of the fact, that with the existence of Pradhan Mantri Ujjwala Yojna scheme, it is possible to cook on gas without any charge. Soochna Seva team not only made them aware of this scheme, but also helped them in completing all the formalities till getting connection. On the other side Sufiya Khatun, 45 year old, resident of Lane Patra station road, Ranchi. She belongs to an underprivileged family, where her son is the only bread earner for the family of four. Once, her son visited the nearest centre and registered his little brother’s name. He asked for all the necessary information and also applied for gas connection under Pradhan Mantri Ujjwala Yojna scheme. After he got access to free gas connection, he started having faith in centre and applied for Vidhwa Pension for his mother as well and the Soochna seva proved to be a huge support in whole process.